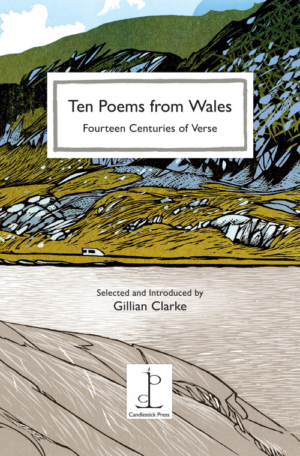 Ten Poems from Wales offers readers who are new to the poetry of Wales, and those who are already in love with it, a glimpse of a rich heritage. Welsh literature is renowned for its beauty, as well as its profound influence on the writings of other cultures. The ten poems, chosen by Gillian Clarke, range from the seventh to the twenty-first centuries, and give the reader a taste of an ancient and continuing literature. Hedd Wyn’s ‘Rhyfel’ (‘War’) is included in its original Welsh form, as well as in translation. Two of the poems, by Paul Henry and Gillian Clarke herself, are previously unpublished. Gillian Clarke is a highly-respected and much-loved poet whose work is read widely across all generations. In 2008 she was appointed the National Poet for Wales.